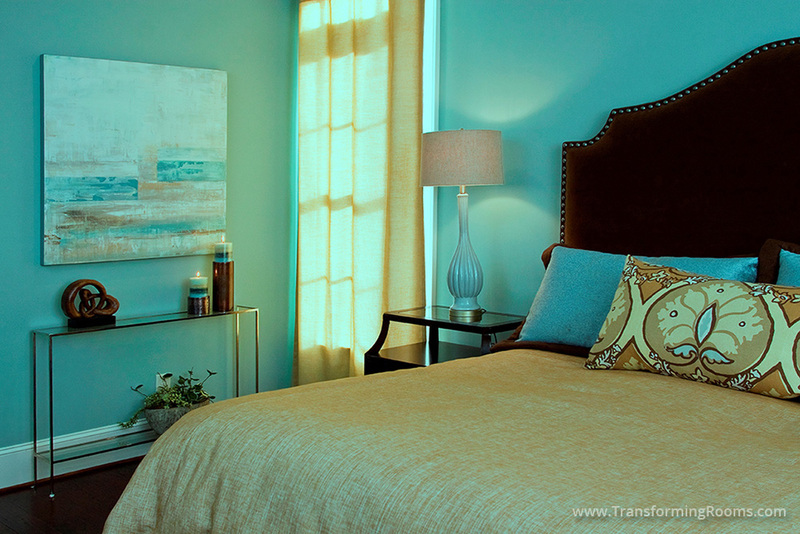 Art was our inspiration for the colors, with designer custom bedding in the same color tones. Do you love your first view when you wake up? If not, know that often a bedroom makeover is quick and easy, with us as your one stop source! For this Irving Park bedroom, our new wall paint, tall bedside lamps, custom shams and an over sized duvet cover made a big impact! Notice our upholstered headboard with nail head trim, and our stainless console table for romantic candles and live greenery!